My mum is in town and she has bought Char Siu (Roast Pork) and Crispy Pork Belly from China Town in London for me. 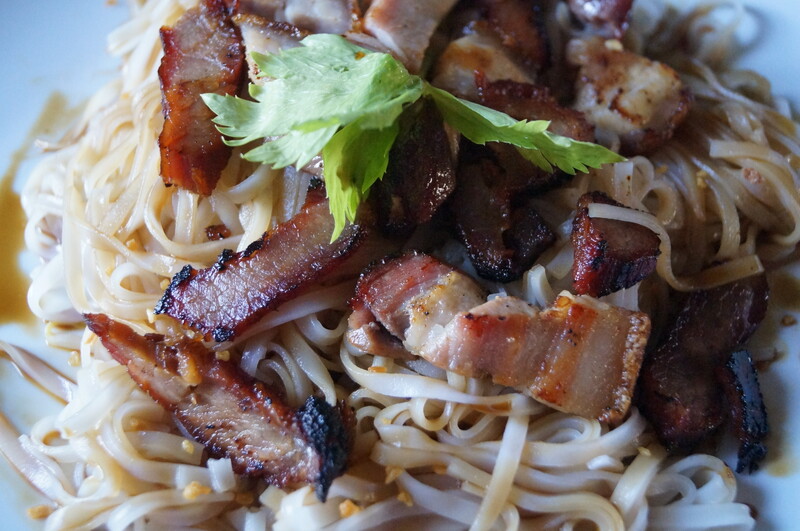 We decided to cook it with rice noodles, bean sprouts (or bean shoots) and a sweet soy sauce. 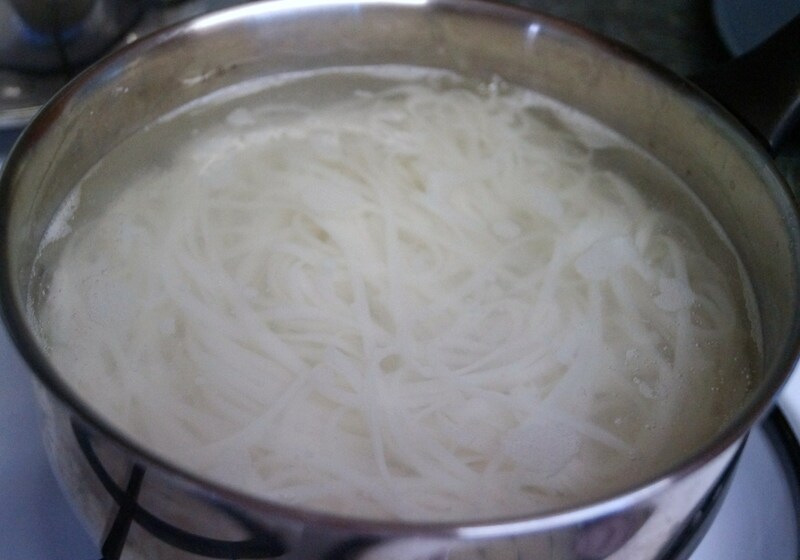 For the noodles we chose thin rice noodles, approx 3mm, which we boiled in a pan of boiling water until soft. This normally takes 2 or 3 minutes on a medium to high heat. We stir-fried the meat in a frying pan. 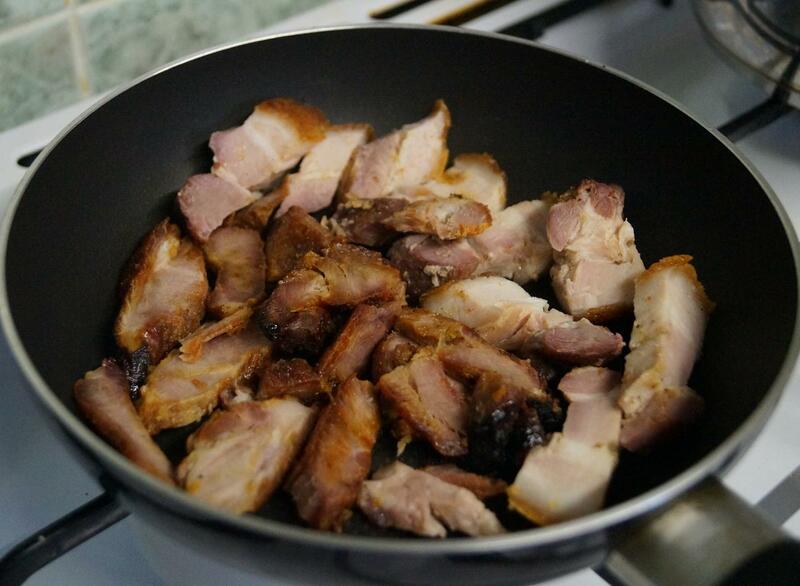 As the pork has already been cooked, it only takes a few minutes to go crispy and slightly caramelised. 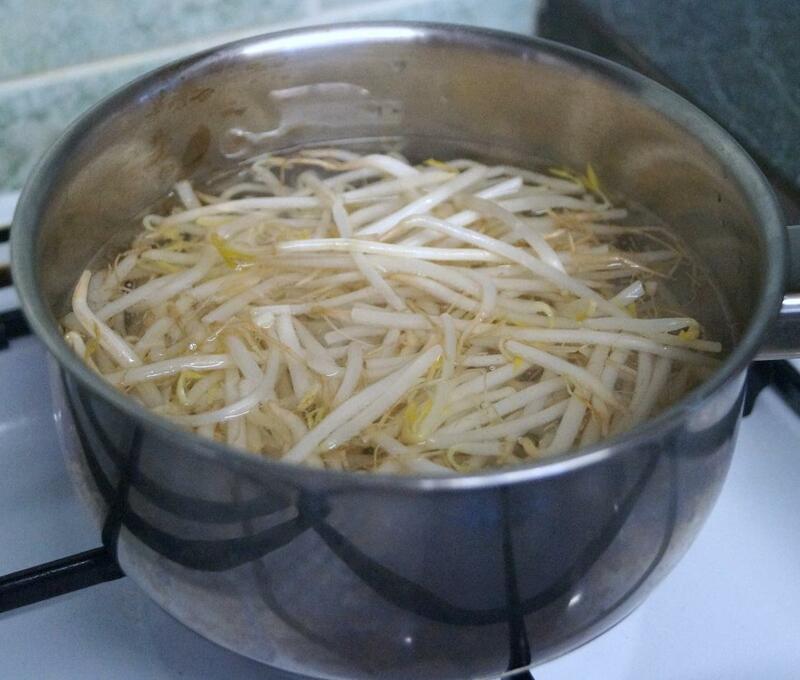 For a bit of crunch we parboiled beansprouts in a saucepan of hot water. 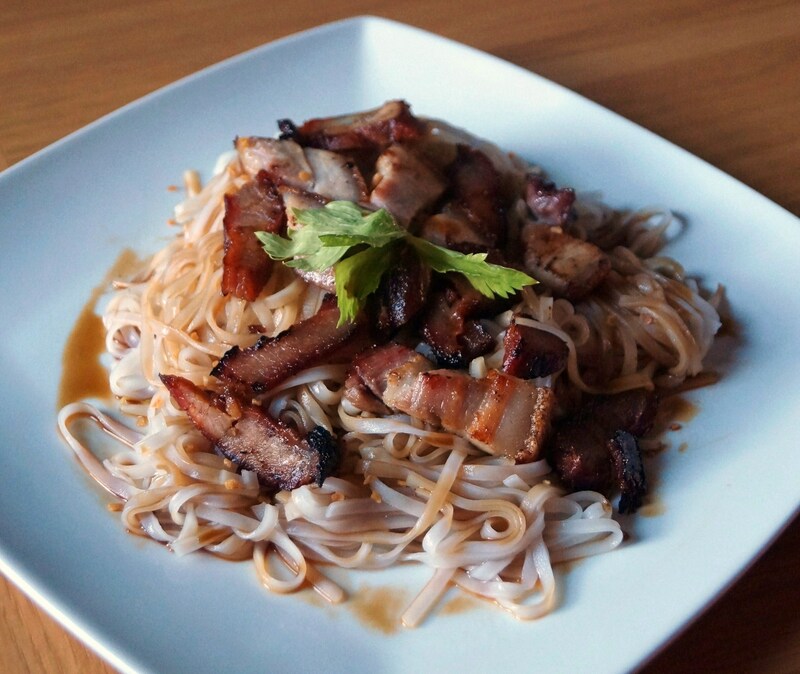 For the dressing, we heated sweet soy sauce with Maggi Seasoning and a touch of honey. We didn’t have any coriander leaves to garnish, so we used celery leaves instead. For more on Essential Sauces for your store cupboard, click here.